This happy T-shirt has a fun secret: lift the flap of the sueded appliqué to see the playful hidden details. 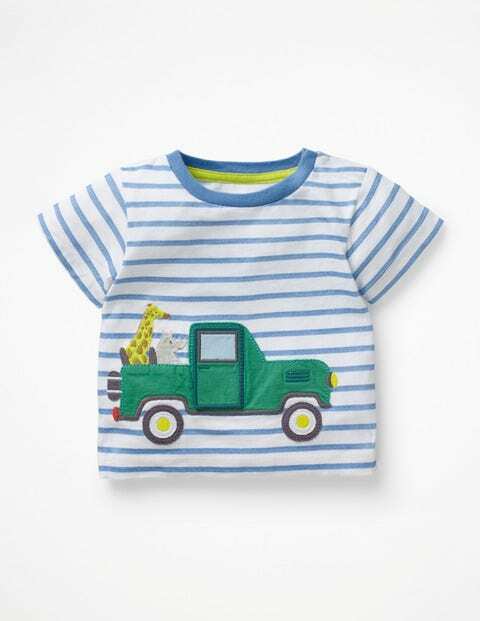 Whether you choose a grinning monkey, a roaring lion or a whole jeep full of animals, the cheerful striped design features poppers on the shoulder for easy changes. Little (home-)explorers will be delighted.